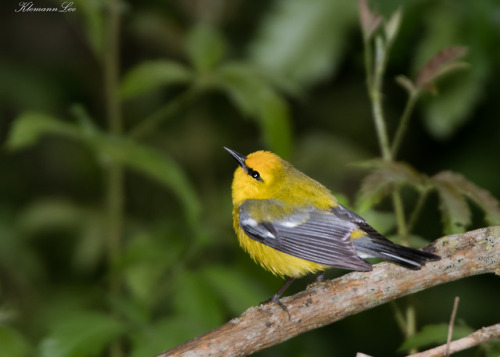 klemannlee:Blue-Winged Warbler#316This was kind of hilarious…. This was kind of hilarious. 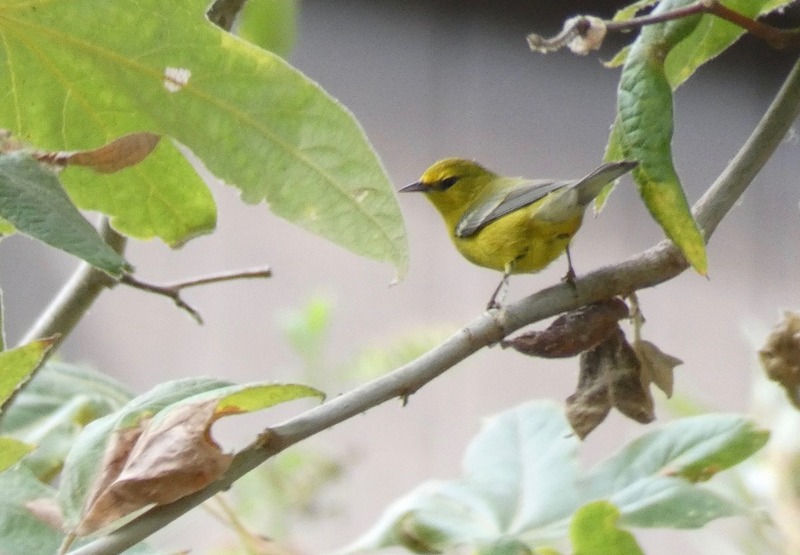 Nick Lethaby (who finds a disproportionate share of the rare birds in Santa Barbara County) put the word out at 9:28 a.m. that he’d found a Blue-winged Warbler in Carpinteria Creek. This is a big deal; it’s a first county record. And it was 5 minutes from my house, on a non-work day. So yeah; I obviously wanted to go check it out. But there was a problem: I’d signed up for a table shift at the local supermarket in support of a local ballot measure (Measure X; don’t forget to vote, Carpinterians), and my shift started at 10. I went to Carp Creek and hung out on the 8th Street Bridge as long as I could, but I only had a few minutes and wasn’t really expecting to see the bird. Honestly, I was just thinking well, maybe Nick will be there and will be able to point out the bird to me. No luck, though; no bird, no birders. At noon my volunteer shift ended and I raced back to the creek. When I got to the bridge and looked upstream I saw the best thing possible: About 10 avid county birders all looking intently at the same point on the creek bank. Yeah! A minute later I’d joined them and was getting great views of the bird, which was gorgeous. Tags: carp without cars, birds, santa barbara county year list, pjh, bwwa. This entry was posted on Saturday, October 13th, 2018 at 10:16 pm	and is filed under Tumblr reblogs. You can follow any responses to this entry through the RSS 2.0 feed. You can leave a response, or trackback from your own site.